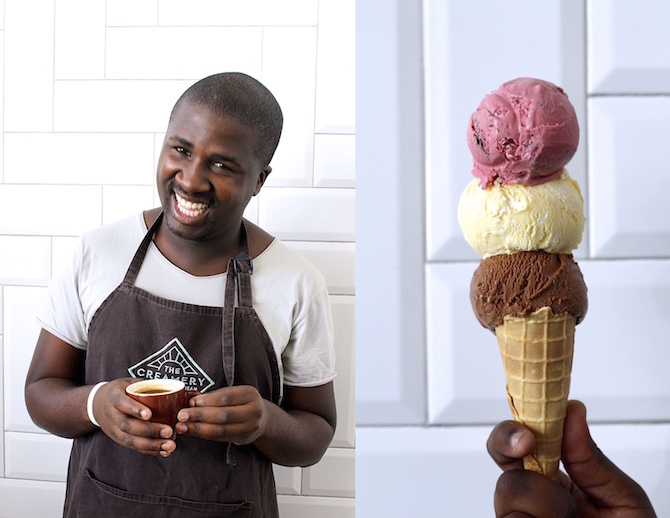 Thabo is a Creamery café supervisor and an experienced barista. He has a wonderfully calming presence at both our Salt River and Newlands Cafés. He answered some of our questions about Rosetta Roastery coffee and what it takes to make a brilliant coffee. The Creamery: Why do you love coffee? Thabo: You can connect with people while enjoying a cup of coffee. And knowing what goes into producing a good cup of coffee makes you enjoy drinking it even more. TC: What is your favourite coffee beverage to drink? Thabo: A latte. I don’t like strong coffee and lattes are a good beverage for people who want to enjoy the taste of coffee but in a more subtle way. TC: What is your favourite coffee beverage to make? 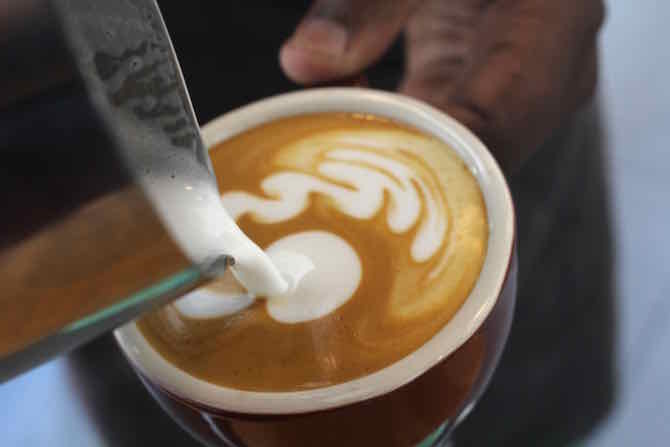 Thabo: A flat white because it tends to be consumed by people who enjoy stronger coffee so they’re interested in savouring the flavour and details of the coffee itself. TC: What should people know about ordering a coffee at The Creamery? Thabo: My best advice is that people should never be too shy to ask the barista for an explanation of the coffees before ordering. It’s good to be specific when ordering your coffee- request a triple shot, or a dry flat white, or more or less foam. TC: Why is there such a high level of expertise required in being a barista? Thabo: So many people understand coffee nowadays. They know that certain flavours come out when it’s made well and other flavours won’t be tasted if it’s made poorly. If you burn the milk the natural sugars are lost; if your grind is not on the same settings as the last coffee you made your coffees will be inconsistent. These nuances aren’t obvious. It takes a lot of skill and knowledge to make a good cup of coffee. TC: Why do you like Rosetta Roastery’s beans? Thabo: Rosetta’s beans generally have a more subtle flavour than other brands. They supply us with single origin beans (one flavour profile), which helps you learn about the flavour profile of a specific country or region. I really like Gaitana Colombia (medium roast, Colombian Single Origin) because it’s not too strong and has a lot of depth and different notes. TC: What’s your favourite Creamery ice cream flavour to pair with a latte? Thabo: Sweet Cream and coffee go really well together! Visit us at our Salt River Café or at the Newlands Café for coffee and ice cream.